These two young men met as Senior One students (middle school equivalent) in January 2004. Luke was 11, about to turn 12, and Katuramu was a few years older. Luke had grown up in Bundibugyo for those 11 years, and Katuramu across the mountains east in Fort Portal. Katuramu's father died before he was born, and his widowed, older mother struggled to educate him. 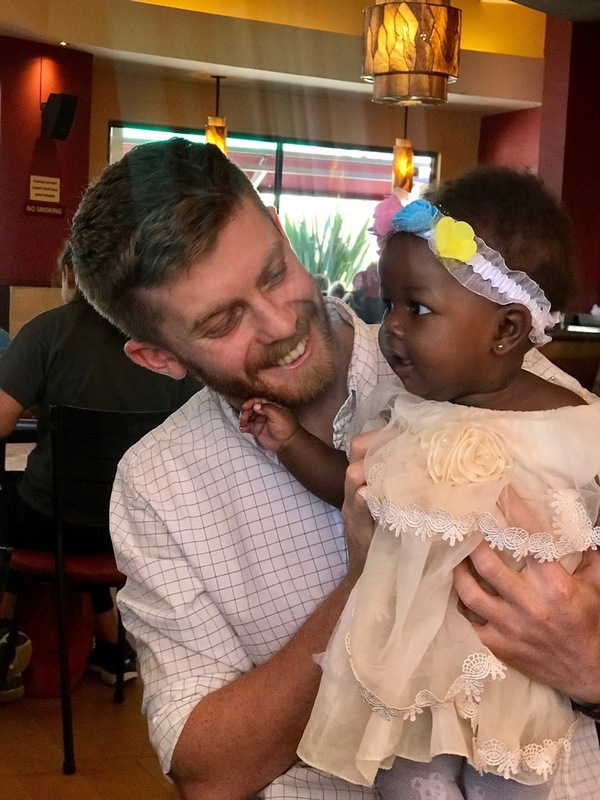 A neighbor noticed that he was bright and eager and hard-working and recommended a primary school started in association with Serge missionaries and Ugandan church leaders, which included a Good Samaritan sponsorship program. He excelled throughout primary school and the program decided to send him to Christ School Bundibugyo for secondary. 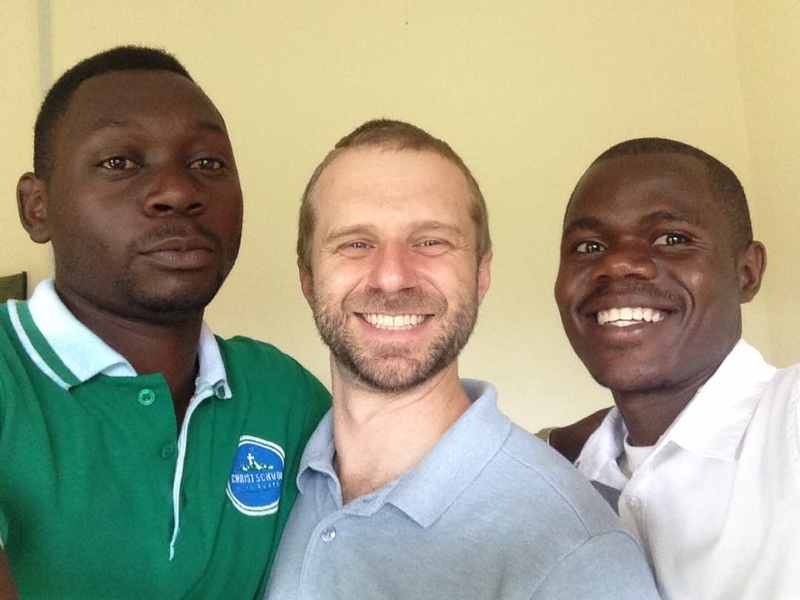 Luke spent his primary years at our team's Rwenzori Mission School, plus part-time in local Ugandan schools. As we began 2004, he seemed ready for the more focused science and math of CSB and for the needed peer interaction and sports. And so began a true friendship. Both were relative outsiders, both were intense and competitive students active in math club and chess club, both were leaders in character and grace. Four years later when they sat for O levels, Katuramu was number one in the district, and Luke was number two. Luke went to Kenya to board at Rift Valley Academy for two years instead of A level; Katuramu completed A level in Uganda. Their paths would diverge and reconnect over the years as their friendship continued. Katuramu's mother also died, and Luke walked over the mountains to be with him for the burial. As Luke began University in the USA, we drove Katuramu to various medical schools in Uganda until he was admitted. 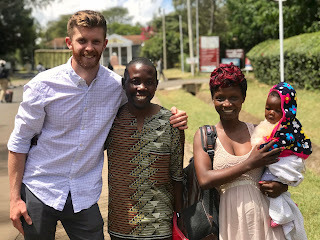 The Good Samaritan program continued half-sponsorship of Katuramu and the Kule Leadership fund the other half; Luke received a nearly full scholarship for University and half-scholarship for medical school, as God continued to provide. 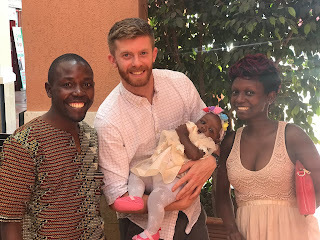 Katuramu finished his internship, married Carol, worked some, had his first baby, earned a spot in the Kabarak University Family Medicine residency (master's) program. Luke graduated from medical school and matched at University of Utah for Orthopedic Surgery. Which means that in two months it will be 15 years since they met, and they are both first-year residents in excellent training programs, still with hearts to serve the poor, to use their education and the gifts God has given for the world's good and God's glory. Katuramu's program is 4 years, Luke's is 5. 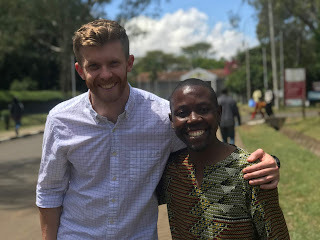 Luke had a one-week vacation in October, and his program agreed to sponsor a plane ticket so he could make connections back in Kenya for ongoing research. With travel, he had 4 days on the ground in Kenya--3 working with orthopedic surgeons and research nurses and residents at Kijabe, and one to drive out to Nakuru and see his friend Katuramu. I am telling this story to illustrate the power of investing in education for the people who seem to be at the margins of the world's power. Luke, by American standards, grew up poor and isolated. Katuramu, by any standards, grew up with zero human chance of becoming a doctor. At a critical time in their lives, they spent four years at Christ School. They had competent, demanding teachers. Labs. Books. They had weekly discipleship in chapels and cell groups, a focus on servant-leadership, on character, service, integrity, faith. They had friendships with each other and other students. For many CSB students, their time as boarders is the most consistent nutrition and safety they receive in their life. They experience in those years an alternative world system, where might does not make right, where corporal punishment (illegal in Uganda) is actually not practiced, where the faculty and administration model sacrificial Kingdom-oriented lifestyles, where hard work can change your trajectory, where prayer is more powerful than witchcraft, where a teacher sexually abusing a student is not considered normal or acceptable. CSB is a tiny island of alternative life in a vast area of the world where women have little respect, where survival is far from assured. John in the green and Isaiah in the white shirt both graduated from CSB in Caleb's class. John went on to study accounting and passed his very demanding CPA certification; he works with Josh (center, our Bundibugyo Team Leader and Chairman of the Board for CSB) now. 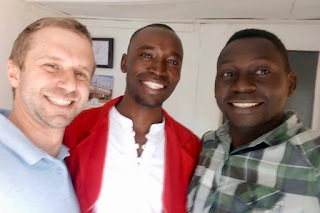 Isaiah was a couple years behind Katuramu graduating from medical school (also on the Kule Leadership program) and is now starting internship. He wants to complete his training as a general surgeon. Mutegheki (in the red) with Josh and John again . . he was the top graduate in his class with a degree in business from Victoria University a month ago, and is working now in Fort Portal. These young people have hearts for service, and CSB gave them the essential boost to get the training they need. They are connected, loyal, bright, and hopeful. And they are joined by scores of others who have graduated, who are now teachers, lab techs, pastors, nurses, famers, electricians, librarians, and on and on. A generation that is poised to move a valley below the Rwenzoris forward towards health and wholeness. As we come to the end of the 2018 school year in November, we know that there will be a financial gap. The year started in drought and the cocoa harvest was not robust. 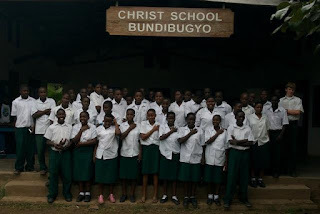 CSB's model is to charge parents about half of the actual cost of education; the other half comes from people across the world who care about Bundibugyo, who want to love God in a practical way and look for a gift that keeps multiplying. 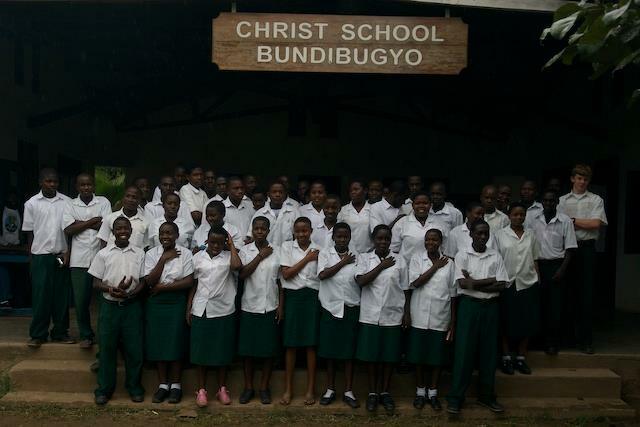 This fund allows CSB to keep producing Katuramus, and Lukes, and Johns, and Isaiahs, and Muteghekis (and half of our students are girls; they just haven't sent me photos in the last two weeks!). Feel free to join us.